Michael Dailey, M.D., FACEP, is the medical director for the Town of Colonie EMS department and attending physician at Albany Medical Center. He also serves as the Medical Director for REMO (the Regional Emergency Medical Organization – Albany NY), serves as member of the SEMAC (State Emergency Medical Advisory Committee) and the STAC (State Trauma Advisory Committee). Dr. Dailey is board certified in emergency medicine and in EMS. 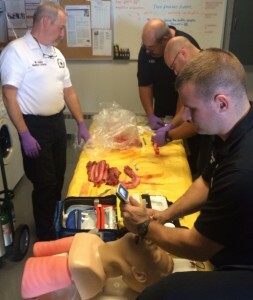 Dr. Dailey working with Colonie EMS paramedics on advanced airway procedures. Dr. Dailey started in EMS in 1983 as a volunteer EMT in Westchester County, served as a volunteer firefighter in Clinton County and then worked for New York City EMS. He went on to complete medical school at Albert Einstein College of Medicine (Bronx, NY) in 1998 and his Emergency Medicine residency at University of Pittsburgh (Pittsburgh, PA) in 2001. 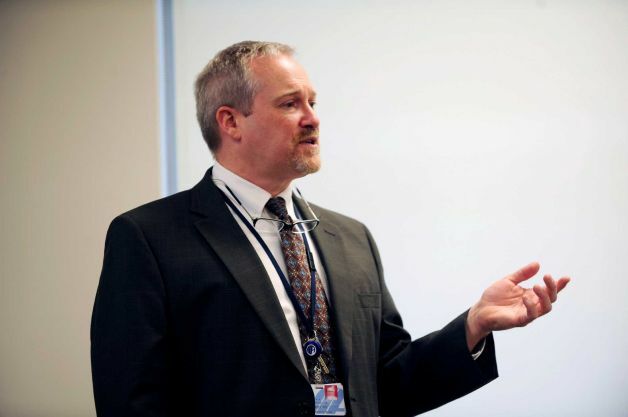 Dr. Dailey has served as Medical Director for the Town of Colonie since 2003, he oversees the department’s flight program, special operations rescue division and the town’s Special Services Team (SWAT).